The first major fortifications to be built by settlers in New France to protect Quebec City from an invasion have been discovered in the heart of the old city. Archeologists in Quebec City have discovered the first fortifications built in 1693 to protect New France from a major attack, in what is considered the first reinforced palisade of its kind of that era. The discovery was made by an archeological firm, Ruralys, that was overseeing renovation work on a building on Sainte-Ursule street, after a worker found a small piece of wood sticking out of the black sand. 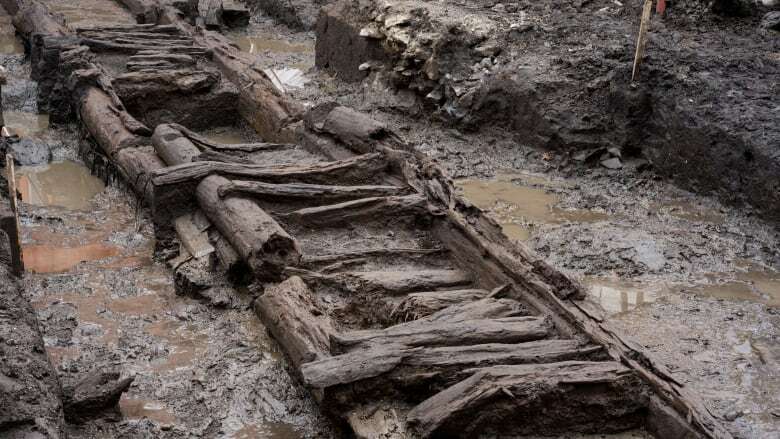 "We knew we had to [be cautious] because usually we don't find wood that deep in the soil," said archeologist Jean-Yves Pintal, who was knee deep in the mud on the day the site was found. The team carefully dug deeper and found the wooden structure was nearly 20 metres in length — the first tangible proof of the rempart palissadé de Beaucours, that is featured in history books as the predecessor to the stone fortifications that still surround the old city to this day. "It's the first time that a reinforced palisade of that kind is found," Pintal said Tuesday at a news conference organized by the Ministry of Culture and attended by Premier François Legault, as well as Quebec City Mayor Régis Labeaume. Pintal said it took 500 people to build the wooden structure that stood nearly four metres high, anchored in a trench and filled with sand. The wood, which normally would have disintegrated over the centuries, was preserved due to the humid environment of clay and water in which it was buried. The rempart de Beaucours replaced a temporary structure built in 1690, a simple wooden wall protecting the 2,000 to 3,000 residents from arrows and land attacks. That palisade was in place during the Battle of Quebec and the six-day siege of the city in October 1690. A coalition of countries, led by the British, tried to take over the colony and demanded that Governor-General Louis de Buade de Frontenac surrender, to which he famously said "my only reply will be from the mouth of my cannons." "It's because Frontenac said that that this palisade was built," said Pintal. While the French maintained their ground during the siege, historian Réjean Lemoine said they knew they would not always be so lucky. "After the attack of 1690, they thought 'We have a good geographical position, but strategically, we need to protect ourselves'," said Lemoine. 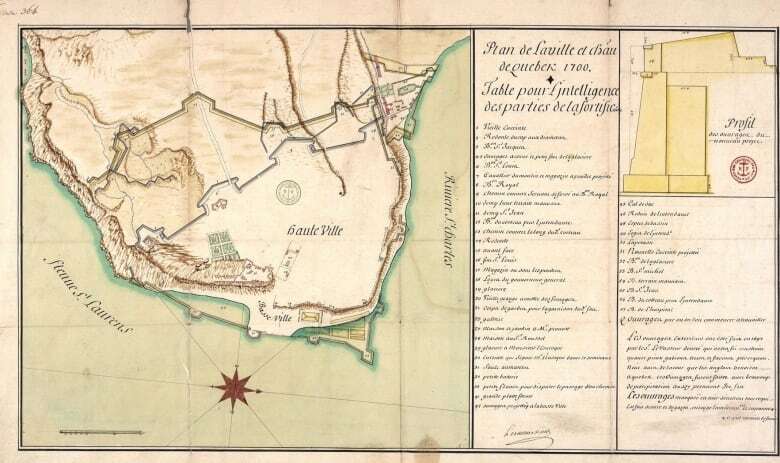 Josué Dubois Berthelot de Beaucours, a French military engineer, drew out the plans for the wooden fortifications built in 1693-94, designed to protect the colony from heavy artillery and cannon balls. Decades later, under the growing threat of a British invasion, the French troops built the existing stone fortifications in 1745, a few dozen metres back from Beaucours' palisade. Teams are now working to extract the artifacts as quickly as possible before temperatures plummet and jeopardize the site. Several pieces of wood have already been dug out and carefully brought indoors, where they will be dried out over a two-year period. A large central beam will likely have to be hauled out with a crane, said Pintal. Labeaume, present for the announcement, said the discovery "reinforces our status as a UNESCO World Heritage Site." "Historically it's huge," said Labeaume. Legault said he was impressed to see the structure with his own eyes. "It confirms that our ancestors worked very hard, in very difficult conditions," he said. "It's something important, that reminds us we've been here for 400 years." 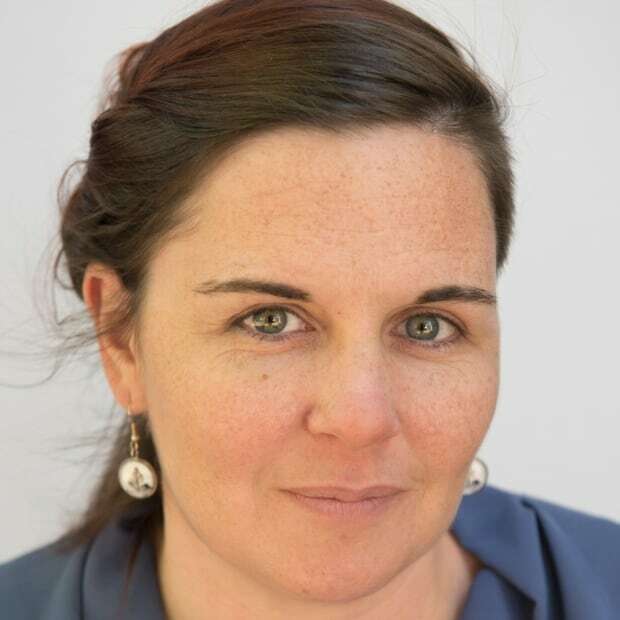 Julia Page is a radio and online journalist with CBC News, based in Quebec City.